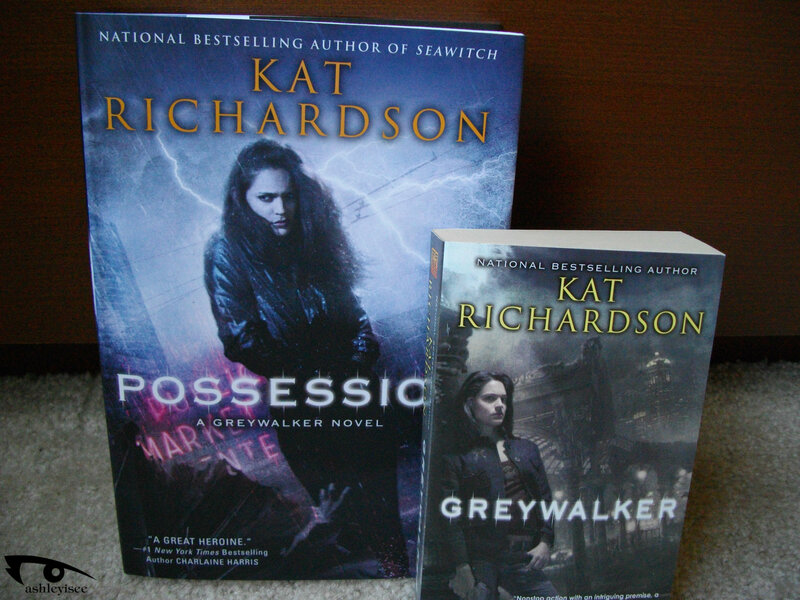 The year was 2006 and like clockwork every August, each book in Kat Richardson’s fantastic Greywalker series is published. It’s my favorite time of year. One of the best things about moving back is that the one day has begun. This week the University Bookstore (hurray for being an alumni!) did a release party for her eighth book in the Greywalker series, Possession. I got there early and noticed a bit of humor from the staff. I snatched my copy of Possession and strolled through the bookstore waiting for the event to start. I had bought the first book in the series elsewhere, due to being unemployed I wasn’t able to snap up all of her books. I felt that by slowly taking advantage of Richardson’s frequent appearances around Seattle, that I would built up my library of signed books in time. Hopefully she won’t think I’m a crazy stalker. 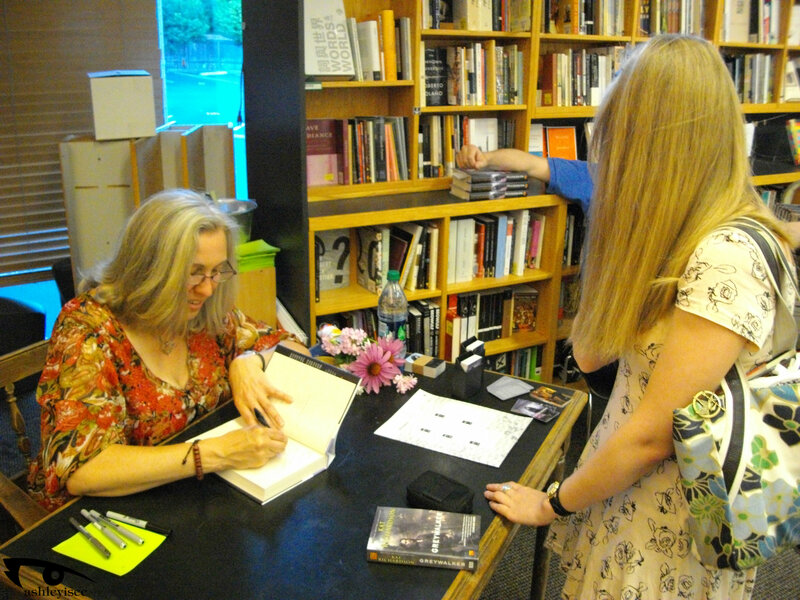 I wasn’t going to make her sign all eight books with different things, that’s asking way too much. She had others to sign for and I wanted to respect her time. I went alone. When she arrived I became giddy and overwhelmed with how long I had waited for this moment. Richardson was so exceptionally kind, sweet and real. She spoke to crowd as if we were all old friends, with lots of laughter and the feeling of fun in the air. She read a couple of passages from the new book. She gave us some spoilers for the ninth book (seriously can’t wait!). Richardson knows so much about Seattle and it’s one of the best things about her writing. She really gets out there and knows her stuff! Her books were the biggest comfort I could turn too whenever I was having a hard time in London. 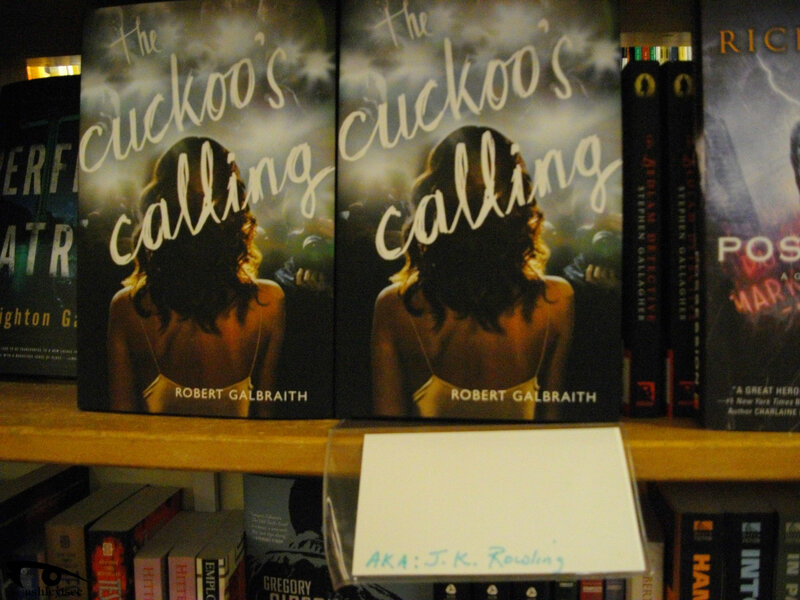 I am grateful to my friends that posted me her books as she was dropped from her UK publisher. (TRAGIC MISTAKE) Her writing is home and I’m so lucky to have discovered her work early on. Then came the best part of the evening. The book signing! Unlike my two previous book signing adventures, of Neil Gaiman and E. L. James, for Richardson I had the chance to speak to her for more than a few seconds! I had an actual conversation and it was difficult to not cry during the joyous moment. Me trying to not act/look/sound stupid. I was a complete and utter fan girl. As if the night couldn’t get any better. It was inspiring to be around such a talented writer from home, who writes extremely well about monsters and creatures and Seattle things that go bump in the night. Full of mystery, spookiness and adventure. I’ve always highly encouraged anyone and everyone I know to read her series. I couldn’t be happier to have the chance to meet her in person. 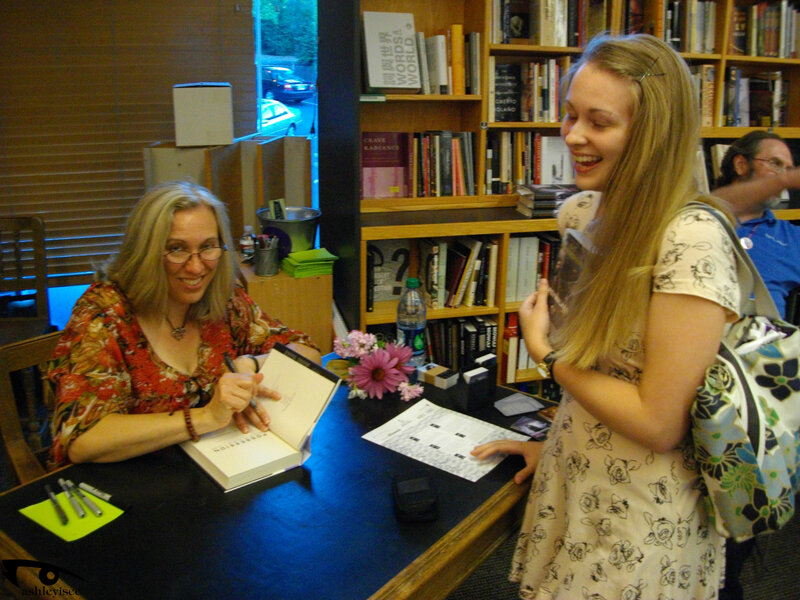 She signed my books with grace and words that made me weep and smile. I kicked myself because I had another one of her books but forgot it at home! Thank you! Thank you! 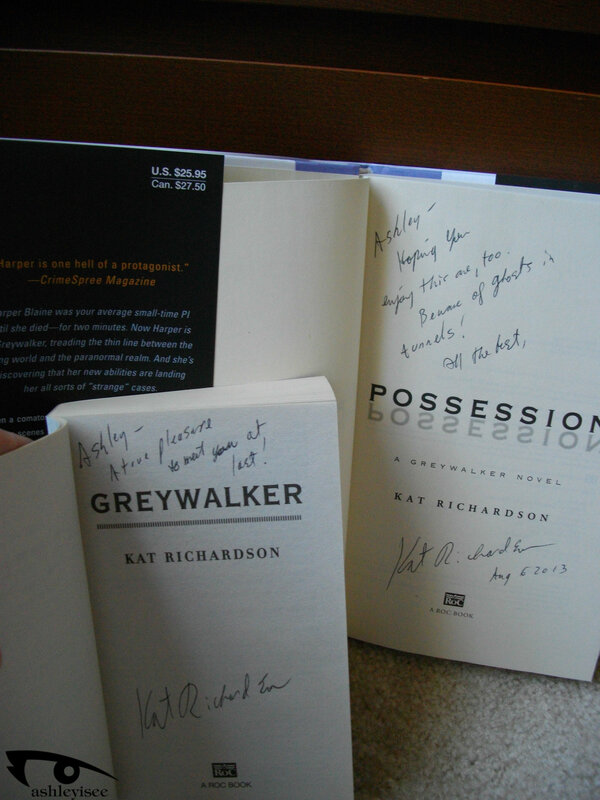 Thank you Kat Richardson for making such a silly fan like me so happy! I can’t wait to start reading!